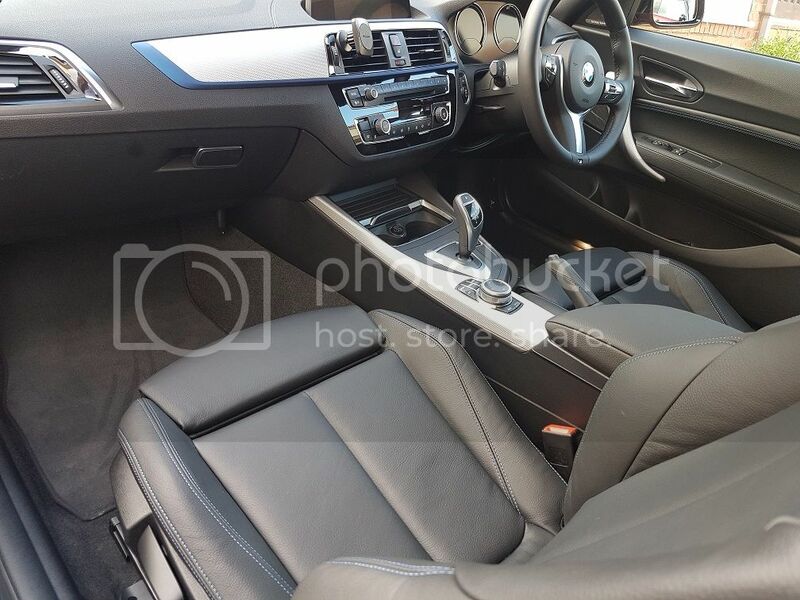 Does anyone have any images of their M140i with black leather and blue stitching? 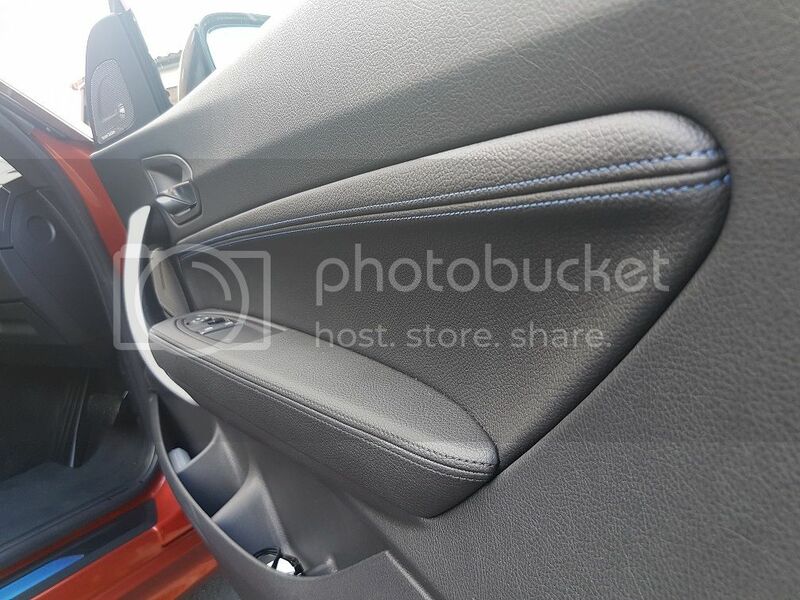 The BMW builder shows the detail, just looking for some real world images. Check pictures on autotrader of M2's. Same seats as these but without 'M' badge embossed in the back rest. Hope this helps. 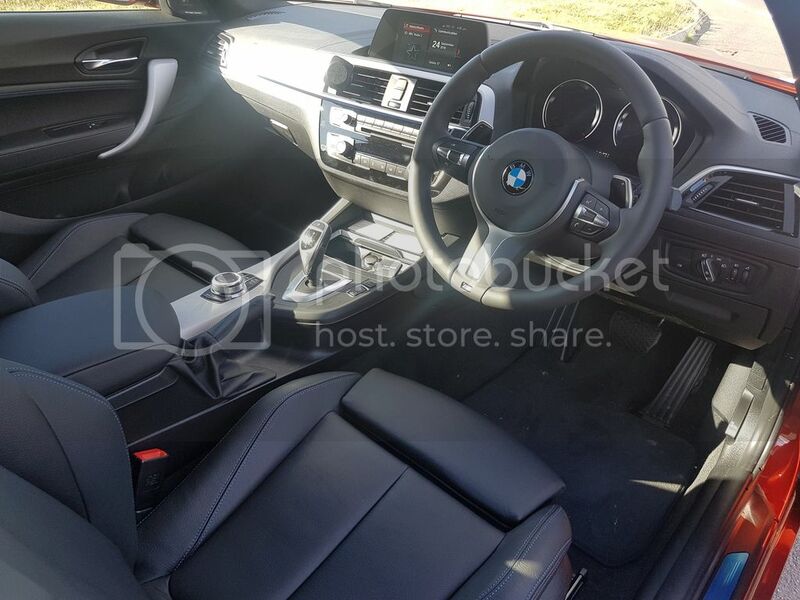 My previous MSport e91 had black leather seats with blue stitching. However nothing else did, like the door panels etc, so it didn't work as well as it should have done. I believe the M140i has stitching on the door cards so hopefully it’ll look a little better. The door card stitching is blue. 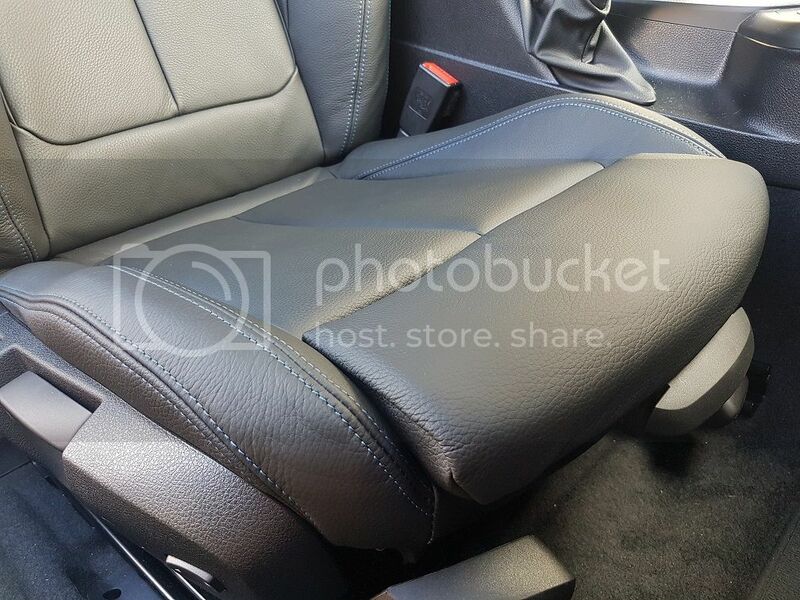 The dash area is grey stitching. Should look very nice with the door cards too. Might be worth getting the blue on the dash too, then again might not suit the chosen colour of your car? I have the black leather and blue stitching also went for the aluminium with blue banding and it really does finish it off imo. Have attached a few pics for you tbh they dont do it justice as the blue does stand out nicely contrasting with the black leather HTH.